Meet Kurt Fletcher from UK-based band Raptor, who recently discovered the joys of film photography and has been shooting some amazing photos with his Fisheye 2 camera. Hi Kurt, tell us a bit about yourself. Hey Lomography! My name is Kurt, I’m 23 years old, love music, photography and I play in a psychedelic-rock band from Bristol called Raptor The band comprises of my brother Adam on Drums, Nick Osborne (who’s just officially joined) on bass and myself on guitar and vocals. You recently discovered Lomography and fell in love, how did that happen? Before, I had a Nikon L135AF that I took on tour with us around the UK. After shooting a few films through it I knew that it wouldn’t work, we were looking to shoot an album cover for our new LP and I wanted something grainy and more unusual. I came across Lomography by accident I think, I can’t remember exactly where I heard about it but as soon as I saw photos that people were taking I was hooked. As a big fan of weird, old quirky guitars the plastic, retro styling of the cameras really resonated with me. With Lomography, I finally felt like I’d found something that I could work with. "We tried normal shots, multiple exposures, long exposures, just anything really to get some ideas going. The LomoChrome Purple created these trippy, otherworldly landscapes..."
We’ve been experimenting with a Fisheye 2 camera that I picked up as well as some LomoChrome Purple 35 mm film. I love the way that the wide angle lens distorts images at the edges. For a long time now I’ve been fascinated with convex mirrors, you know - the ones they have in shops for security. When I moved down to Bristol with my girlfriend Ria, I bought a massive 2ft wide convex mirror and hung it on the wall. I was obsessed with how you could see almost the whole room through it, the guys loved it too. I guess that was the genesis for the idea that would become the album cover. The LomoChrome Purple film is stunning. When I got the Fisheye I was using normal 35 mm colour film and took some test shots to get used to the camera. I did some research and stumbled across infrared film. I found it was used on the cover one of my favourite albums by Frank Zappa, called Hot Rats. After finding colour infrared film was near-impossible to obtain I came across LomoChrome. It was sold out everywhere except for one small shop up North where I finally managed to get hold of some. We did about three runs of test shots and ideas to test out the film and camera. We tried normal shots, multiple exposures, long exposures, just anything really to get some ideas going. The LomoChrome Purple created these trippy, otherworldly landscapes and when the sun was out these effects were enhanced… this made us realise that we’d need a bright day to get really loud results with the colours. "A photo with originality and character means a lot to me, you never know how the film is going to react and that’s part of the magic for us." By the time all of this came about it was late October, so it was getting more and more difficult to arrange a shoot around the weather. After weeks went by we were in November and still no chance of any photographs! We’d previously been to check out Ashton Court, which was a massive estate in Bristol. The greenery and trees made it perfect to shoot with LomoChrome Purple! Adam wanted to head up to Brandon Hill to take some more. Finally, a hot sunny Sunday came in Mid-November so we got up early. We went around and improvised with my girlfriend, who took all of the photographs. We started at Ashton Court and used up one roll of film - made our way down to Brandon Hill to shoot another and then took them to be developed that day…. It took a long time to get it right but we are super proud of the results. What is the appeal of film photography to you? I love the grain and noise it can create. Light flares, blurriness, souping, I’m into anything creative that doesn’t look like a generic photo really. A photo with originality and character means a lot to me, you never know how the film is going to react and that’s part of the magic for us. It can be a bit of a gamble and the results can be unexpected so it forces you to think a bit more about a project. I think that was a good thing though, It got me thinking more about composition and how film works and reacts with light. The fact that you only have 36 exposures means you gotta get it right! Do you think these images fit with your music style in some way? Yeah definitely, the psychedelic effect of the Fisheye 2 & LomoChrome combination really fits our sound and vibe. The whole record was recorded, mastered, photographed and developed in Bristol and pressed to vinyl in London - so it’s really nice that everything has been done in-house and very close to home. The album was recorded using vintage, analogue gear so it’s been a fun learning process to translate that kind of approach to photography. The quality of the images look amazing enlarged to fit 12” LP sleeves. Adam showed me a radio interview recently with Kevin Parker from Tame Impala, he said the Lonerism album cover was taken with a Lomography camera which we thought was a pretty cool coincidence… we love that record! 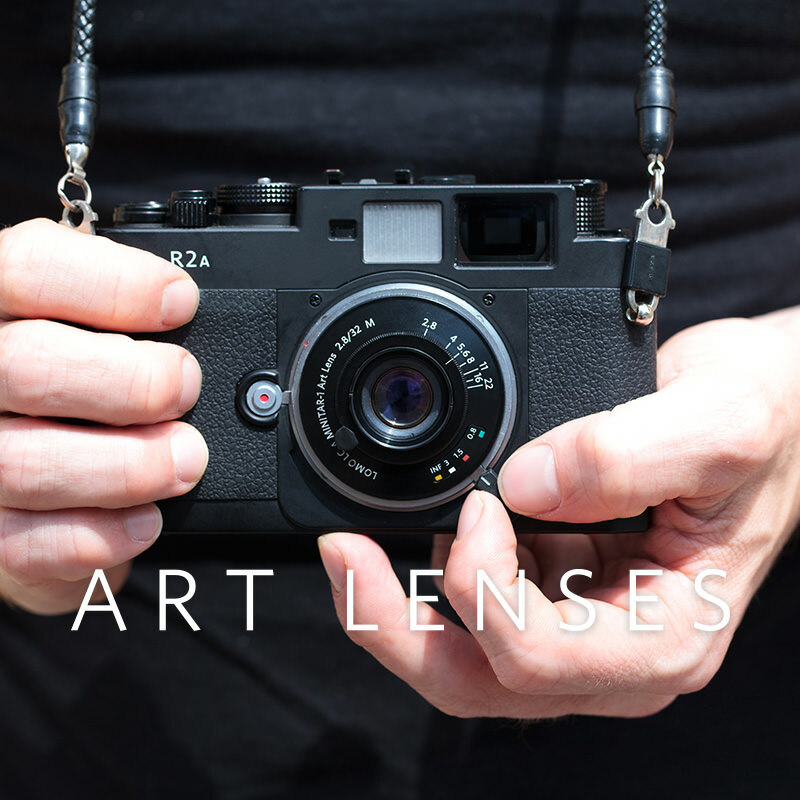 What analogue camera/film would you like to try next? I’ve very recently picked up a LomoKino that I’ve been trying out, we’re currently filming music videos so it’s been getting a lot of use! We’d love to check out a Diana F+ at some point in the near future. lizkoppert, irhamesar, gheinz, frenchyfyl, ricoinbrooklyn, nonspecificscientific, alexander_krolikowski, stolosapo, akio_nakai, gogenlok, modern_nmt, birgitbuchart, rik041, rdetoyato & hannah_brown. Get to know UK-based community member Jacob Howard and discover his wonderful LomoChrome Purple shots. Dee, better know as elegia is a photographer based in Manchester, UK and has been sampling the Fuji Instax Monochrome film with the Lomo'Instant Wide. We talked to her about the joys of instant photography and what the future might hold. Eric Soucy shared with his his latest work using the LomoChrome Purple and Lomography 400 Color Film.